According to recent reports by the Financial Times, Apple has turned to outside expertise an effort to come up with a fresh design staff for its wearable computing projects, which will not be launched until 2014. While Apple has not publicly confirmed or denied any plans for an iWatch, if the rumors are true, an iWatch has already been long in the making. And certainly a timeline of events would point to a well-designed wristwatch with high-tech capabilities. Wearable computing has recently become a red-hot area for investment and development in Silicon Valley. Google is already testing its “Glass”. Sony announced that the company plans to release a second version of its own SmartWatch, to be available in September. Sony’s watch is Android-only. In the same breath, A Google wristwatch is also said to be in the works. Microsoft has also been testing wristwatches, according to the Verge. But most notable among current smart-watch models is the Pebble. This watch was first released in January, funded by a wildly successful Kickstarter campaign. The rectangular watch is controlled by buttons on the side of the watch face and uses Bluetooth to forward information – including app data – from users’ smart phones. The Pebble is compatible with both Apple and Android products and is water resistant up to 165 feet. The company has so far received a total of more than 275,000 orders for the device. 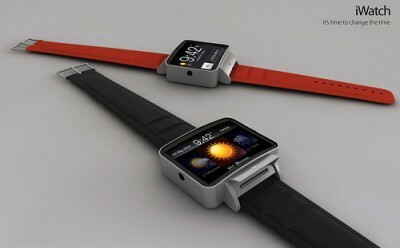 Apple is reckoned to be working on an “iWatch” project that might be broadly similar to the Pebble. The FT says that the company is hiring “aggressively” and has made a number of “acqui-hires” – buying small companies for the expertise of the teams rather than the business’s product – as it seeks staff for its “wearables” group. The company is notoriously secretive about its hiring plans, though outsiders can deduce some of its intentions from its recruitment notices. The company presently shows more than 600 vacancies in its hardware engineering group alone.